Trans-Atlantic stock market operator NYSE Euronext said Friday its net income plunged 28 percent in the third quarter as it cut prices in a bid to counter falling trading volume. 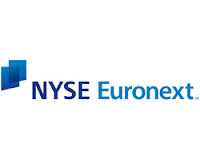 NYSE Euronext, the New York headquartered company that runs the New York Stock Exchange as well as bourses in Paris, Amsterdam and Brussels, reported net income fell to $138 million in the third quarter, down from $192 million a year earlier. The company, which also runs London's NYSE Liffe derivatives exchange, blamed the decline partly on a 46 percent drop in its US and European cash equities trading business. Lower volumes and prices were behind the decline, NYSE Euronext said in a statement. Total revenue for the period fell 10 percent to $1 billion, NYSE Euronext said.